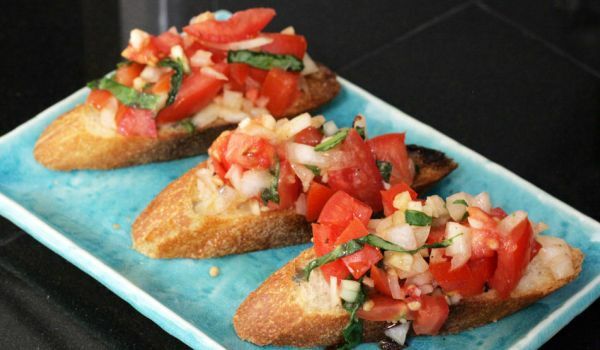 A quick, easy to make and delicious, the Bruschetta, which consists of diced tomato, basil and a drizzle of olive oil is a combination that will cool your palates on a sultry day, and it will do it in style. Combine tomatoes and next six ingredients in glass pan; add salt and pepper to taste. Refrigerate for at least one hour or until ready to serve. To serve, spoon onto thin slices of toasted baguette.